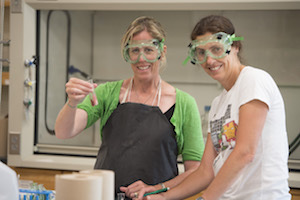 While professional development is not required to prepare for 2019-20 AP course updates and new classroom resources, the College Board encourages AP teachers to take advantage of the professional development offered by an endorsed AP institute. Based on survey data, teachers across the country have found AP professional development to be extremely valuable. 1. Understand the Course. The course framework defines the scope of the course and specifies what students must know and do to be successful on the AP Exam. 2. Plan the Course Sequencing, pacing, and scaffolding are essential for building students' understanding and their ability to transfer and apply knowledge and skills. 3. Teach the Course Effective instructional strategies help students to develop a mastery of course content and skills over time. 4. Assess Student Progress and Understanding Learning requires time, practice, and regular feedback. The College Board has required all Advanced Placement registrations go through their CVENT registration process. When you choose a workshop session, you will be directed to the Collage Board site to complete the registration. You must have a College Board registration number. If you are not registered with the College Board or do not know your number, you will be prompted to another menu for enrollment. The registration process will be different but all workshop sessions are held at the Taft School, with the same attention to details. Registration is NOT complete until registration information has been processed internally and payment has been received. To apply for workshops the week of July 29 - August 1, please complete our on-line application. Your application will not be completed until you "Lock your Application" and continue through the payment information. You will notice all the status indicators on the left side of the application have a green check mark. This indicates that the application is now completed and will go to the TEC office for review. If your application is not complete, it will be placed in a "Hold File" for one week. You are not entered into a workshop at that time. The system will delete the application after one week and you can reapply. Before you lock your application, please review your information, using the guide on the left of the screen. You may make any adjustments to your application until you lock it. Only after you have entered your payment information, is your application complete. Boarding fee: There is an additional fee of $200 per week that includes a single-room dorm room and all meals starting with Sunday registration. The registration fee includes 30 hours of training with a seasoned educator and an expert in their field, all pertinent subject-speciﬁc materials, handouts and materials from your instructor. Your seat is NOT conﬁrmed until the school or district has provided a purchase order (electronic copy) or payment in full. To guarantee registration pricing, payment in full or a Purchase Order (electronic copy) must be received by the Taft Educational Center ofﬁce. Rooming assignments are made based on the date the completed application is received. Enrollment and dorm space are limited. Each participant that registers as a boarder will have a single-room dorm room. There is only one dorm that is air-conditioned on campus. Please apply early to avoid disappointment. Credit card information should be entered at the time of the application. Your credit card will be charged the full amount at that time. If you are submitting a purchase order, you MUST fill in the contact/ billing information (please use someone other than yourself as contact person). The purchase order will be verified before you will be entered into any workshop. We will NOT ACCEPT Purchase Orders after June 9, 2019. If your school can not create a purchase order at the time of your application, our office will need to contact the contact / billing person for a written verification that your school district will be paying your tuition. The purchase order or written verification of payment must be in the TEC office before your application will be processed. Your application will be placed in a "hold file" and you will not be placed into the workshop until TEC has received confirmation of payment or the purchase order. If you are paying with a personal check, please mail in check as quickly as possible. We will not be able to place you into a workshop until payment is received. This payment option is only used for a current credit letter from TEC for last summers session, PEG scholars and TEC scholars. When you use this payment option, your application will be placed in a "Hold File" and will not be entered into the system until after you have spoken with Alison. Please contact Alison in the TEC office at 860 945-7837 or email: Tecinfo@taftschool.org.